Thanks for this. Everything went well and your equipment was used by 100 scouts every day for breakfast, lunch, dinner & supper along with activities including crafts, writing and seating for indoor campfires (it rained a little). Yorkshire Furniture Hire have increased their hire stock by 1000 chairs for the forthcoming year. Limewash chiavari chairs appear to be the ones to have at the in crowd weddings... Book early to avoid disappointment.. Thank you so much Christine for the emergency delivery late last night of banqueting furniture for our function. You really helped out as we would have been stuck without it...thanks again - great service..
Woods Marquees of Lincoln are one of Yorkshire Furniture hires largest customers hiring over 5000 chairs per annum - Our service, delivery and chairs are first class - the value is second to none and will continue to use us throughout 2012 for all furniture hire. 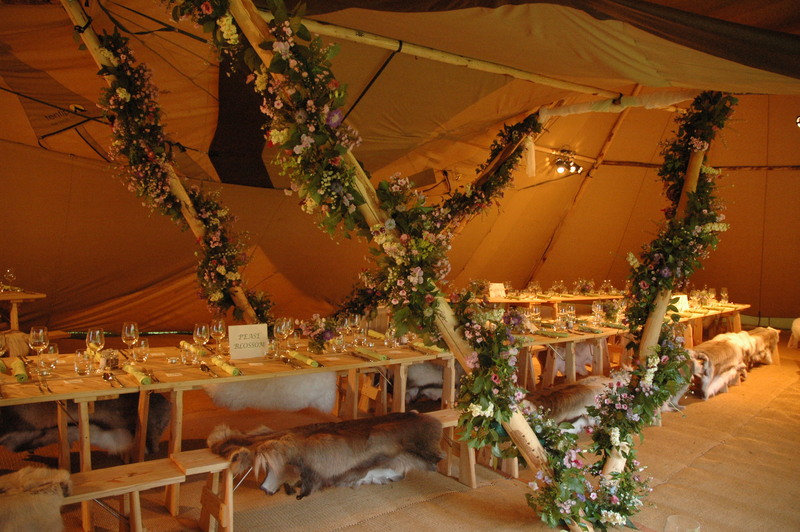 As summer has drawn to an end and our furniture has been present at weddings, garden parties, race meets, vip lounges for festivals and graduation balls, we look forward to the party season for 2012. To add to our extensive range of dance floor we have NEW all black Nightlok® dance floor to compliment our range that already includes the market leaders Publok® black & white dance floor and the all white Wedlok® dance floors. The versatility of the combination of these floors is only as limited as your imagination. "Thanks for making it stress free and for all your help and advice in the lead up to the big day." "Forgot to respond before but THANKYOU so much for sorting out the chairs for Sophie and Cameron's wedding in Kirkby. It may seem a trivial thing but they were really happy as its the details that make things right. Very grateful and many thanks Debbie Stubbs"
Just wanted to drop you a line to say a big thank you for organising the delivery of the chairs. They were beautiful and perfectly clean – sometimes you hire these and they are not always that clean!! Yours chairs were great and we will not hesitate using you again when we are putting an event on. "I was very very happy with all the tables and chairs you provided for my party. The chairs in particular went down a treat – very nice – and the tables were just the right size and perfect for the occasion. Delivery and collection was spot on with very pleasant and capable young men to do the job. Thanks for your email and also a big thank you for the excellent service provided by yfevents! The service could not have been better, we are so pleased that we chose you and we were very happy with the table and chairs provided. Thank you again, we will certainly recommend you to our friends and family. Sophie"
"The furniture was great thank you - the sofa was admired and it fitted perfectly in the garden." Phil - Harrogate. Another very happy and satisfied customer. We are thrilled with everything. Thanks again Anne"
"The chairs were great, as was the delivery driver. We were very happy with everything." "I just wanted to say thank you for all of your help. It was really very easy working with you and your company and made the whole thing as stress free as possible (at least where the chairs were concerned!)." "Just to say that the chairs looked amazing and they truly finished off our room! Thank you so much for the email and for all your help over the last few months." I have to say that of all the various companies we dealt with in regard to this party, yours was by far the most friendly and efficient. You yourself were such a help when choosing and booking furniture, and also the company still had stuff available at a relatively late date! Your drivers were polite, friendly and efficient and everything happened when you said it would. My only suggestion for improvement would be that YFE did everything from the marquee to the bouncy castle to the catering!! All the best, thanks again and please pass on out thanks to your drivers." " I was very happy with the tables provided – it was perfect for the Long Gallery." Carmen - referring to our large trestle tables at Castle Howard York. "Thanks! Ps the delivery guy was lovely and very quick and tidy!" Charlene - Leeds, lovely to see our customers like our staff as much as we do.